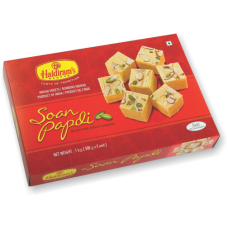 Traditional indian flakey sweet. Made of gram and blended with natural cardamom. It has sweet and aromatic taste.